People who know Todd Waites say he has already lived the life of 10 men. Ask Todd, and he says he’s just getting started. After losing his complete arm and shoulder to cancer at 14 years of age followed by nearly two years of rigorous treatments, plus another surprising diagnosis of cancer (thyroid) in late 2014, Todd has made the best of the cards dealt to him. Playing the keyboards since age 4 then having to re-learn how to play with one arm, Todd has gained worldwide respect and notoriety. 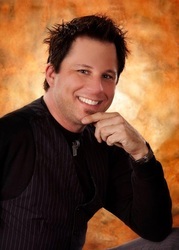 As a professional musician/keyboardist he has toured all over the U.S. and beyond playing in front of thousands of people each year, has appeared on numerous CD releases (both domestic and internationally), a double live DVD, and is a main character in a motivational book "I Work with Crabby Crappy People" published in 2012 in which he also wrote/recorded the digital soundtrack. He’s been featured in Keyboard Magazine, various news outlets, and even had the great honor of helping David Bryan, keyboardist for multi-platinum band Bon Jovi learn how to compensate when he suffered a finger injury. He was also hired to be the touring keyboardist for an ex-singer of the band Journey in late 2014, but shortly after agreeing to do the tour Todd was diagnosed with thyroid cancer and had to take a break for surgery and healing. He is grateful to be back out now! 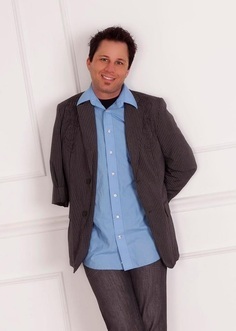 Todd has a passion to help people of all ages develop a positive self-perception and also learn to accept others just the way they are. He speaks at corporations, churches, schools and various events promoting the message that regardless of who you are, what obstacles you face, and what anybody else tells you…EVERYONE MATTERS, HAS A PURPOSE, AND CAN ACHIEVE GREATNESS. Once too self conscious to even go into any store or public event because of the stares and quiet whispers (and the not so quiet ones! ), he now speaks in front of thousands of people every year. Getting from point A (arm amputation) to point B (where he is today) was quite a mountain to climb, and Todd learned very valuable and teachable lessons in overcoming obstacles, achieving and maintaining a positive self-image, and that being “different” is not negative. In each 60 minute session he shares his story, and the message that his arm isn’t what made him whole…that getting it back would not make him any more complete. That people who have everything often times have a poor self-image and do not live life to the fullest. This message is shared with personal stories incorporating comedy, inspiration, and a keyboard is brought as Todd demonstrates his journey of becoming an amputee through becoming an internationally acclaimed keyboardist.